Cañon City Middle School is a historically significant building in our community. However, the main structure, built in 1925, is difficult o maintain and no longer fully meets modern instructional needs. The Cañon City School District board of education is seriously considering 5 proposals to address much needed facilities upgrades. Because of age (four of the district 's eight school buildings were constructed at least 65 years ago), the need to address pressing structural issues, worn roofing, and outdated water delivery systems, we have engaged the community about how we might best address the challenges we face in improving our facilities. One of our hopes is to secure significant grant dollars through Colorado’s Building Excellent Schools Today program to minimize the financial impact a comprehensive facilities solution would have on taxpayers. This could allow us to address many outstanding issues for as little as 35 cents on the dollar. However, competing for such a grant will require us to reduce our total building capacity because BEST will not pay for the improvement of facilities that are not being fully utilized by a school district. Lincoln School of Science and Technology: Replacing exterior doors, windows and sidelights, replacing the water distribution system, refurbishing restrooms, and increasing the safety of the entry for approximately $680,000. McKinley Elementary: Replacing exterior doors, and windows, replacing the water distribution system, installing a new intercom system, refurbishing restrooms, and increasing the safety of the entry for approximately $1,000,000. 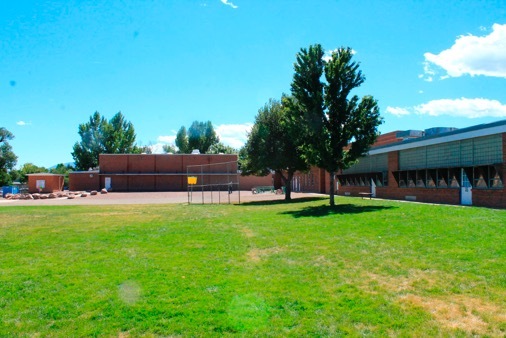 Cañon Exploratory School: Installing a new fire alarm and intercom system, removing an asbestos-laden modular, and increasing the safety of the entry for approximately $425,000. Cañon City High School: Replacing exterior doors and windows in older sections, upgrading HVAC systems, repairing roofs, replacing the water distribution system, refurbishing restrooms, conducting general ADA upgrades, and increasing the safety of the entry for approximately $4,700,000. Harrison K-8: Increasing the safety of the main entry and installing a panic alarm system for approximately $350,000. Washington Elementary School: Replacing exterior doors and windows, repairing structural deficiencies, replacing the water distribution system, removing an asbestos laden portable structure, and increasing the safety of the entry for approximately $3,200,000. Cañon City Middle School: Adding cooling to the auditorium, installing ADA required upgrades, replacing heating and steam lines, replacing asbestos flooring and ceilings, repairing roofing, and increasing the safety of the entry at Cañon City Middle School for approximately $2,500,000. ACCESS Center (which houses our Early Childhood Center, Cañon Online Academy, and Choice Points Alternative School): Replacing exterior doors and windows, upgrading the HVAC system, repairing roofs, replacing the water distribution system, and increasing the safety of the entry for approximately $950,000. Community members know Washington Elementary School has been a focus of discussion. This is because structural issues were identified in the building last spring that would cost roughly 3.5 million dollars to fully address. Because of this we have identified two potential courses of action, one in which we keep the Washington learning community where it is, and one in which we move that learning community to a different site within the district. Washington Elementary has been a focus of discussion because of structural issues identified last spring. Option A calls for identifying facility space throughout the district that could be eliminated in an effort to get our total square footage in line with the requirements needed to qualify for a BEST grant, and to then apply for a number of grants that would allow the district to address the 14 million dollars in health and safety upgrades needed. The total cost for this option would be just under 17 million dollars. This would include dollars designated for demolishing the old vocational facility at CCMS, as well as funds to make improvements to other parts of the CCMS building to absorb programs that currently utilize the old vocational facility. We estimate the total cost to district taxpayers for these projects outlined to be just under 6 million dollars if we can secure a BEST grant. The end result of this effort would be accomplishing the basic health and safety upgrades needed for all our current buildings, keeping the Washington learning community intact where it is currently located, while also reducing the square footage the district must maintain and operate on a yearly basis. Option B also calls for identifying facility space throughout the district that could be eliminated in an effort to get our total square footage in line with the requirements needed to qualify for a BEST grant, and to then apply for a number of grants that would allow the district to address 12 million dollars in health and safety upgrades needed to buildings (this would be less because we would eliminate costs related to upgrading the current Washington building), while also providing for the construction of a brand new elementary school on the current Washington campus. The total cost of this option would be just under 27 million dollars. This would include dollars designated for a brand new 15 million dollar elementary school, demolishing the old vocational facility at CCMS, and for making improvements to other parts of the current CCMS building to absorb programs that currently utilize the old vocational facility. We estimate the total cost of this plan to CCSD taxpayers would be just under 9.5 million dollars if a BEST grant could be secured to help fund it. The end result of this effort would be providing the basic health and safety upgrades needed for all current buildings and constructing a brand new Washington school where it is currently located, while also reducing the square footage the district must maintain and operate on a yearly basis. One consideration toward removing excess square footage in the district to increase chances of qualifying for a grant is demolishing the old vocational structure at CCMS and moving programs located in this building to the main CCMS structure. Option C calls for moving the Washington school community over to the Harrison facility, moving current Harrison grade 6-8 students to the CCMS campus, demolishing the old Washington school and turning that property into field space to be utilized by high school soccer and softball programs, upgrading the current CCMS building to effectively house more than 700 middle school students, and providing other needed health and safety upgrades to all other remaining facilities. The total cost of this option would be a little over 22 million dollars. This would include funds designated for CCMS upgrades, demolishing the Washington facility, and improving that property. We estimate the total cost of this plan to CCSD taxpayers would be just under 8 million dollars if a BEST grant could be secured to help fund it. The end result of this effort would be the creation of a large elementary school community on the Harrison campus, the establishment of a large middle school community on the CCMS campus, accomplishing the basic health and safety upgrades needed for all other buildings, while also significantly reducing the square footage the district must maintain and operate on a yearly basis. Option D also calls for moving the Washington school community over to the Harrison facility, moving current Harrison grade 6-8 students to the CCMS campus, demolishing the old Washington school and turning that property into field space to be utilized by high school soccer and softball programs, and demolishing or repurposing the current CCMS building while constructing a new grade 6-8 facility to effectively serve more than 700 middle school students. This would also provide needed health and safety upgrades to all other remaining facilities. The total cost of this option would be a little over 40 million dollars. This would include funds designated for a brand new CCMS building, and demolishing the Washington facility and improving that property. We estimate the final cost of this plan to CCSD taxpayers to be just over 14 million dollars if a BEST grant could be secured to help fund it. The end result of this effort would be the creation of a large elementary school community on the Harrison campus, the establishment of a large middle school community in a brand new facility on the CCMS campus, accomplishing the basic health and safety upgrades needed for all other buildings, while significantly reducing the square footage the district must operate on a yearly basis by eliminating two of its oldest and most expensive to maintain facilities. Option E calls for moving the CCMS school community over to the Harrison facility, then moving some current Harrison grade K-5 students to McKinley, while also building a brand new 500 student Washington Elementary building on the CCMS grounds. This would also result in the demolition of the old Washington school and turning that property into field space to be utilized by high school soccer and softball programs. This option would also provide needed health and safety upgrades to all other remaining facilities. The total cost of this option would be a little over 30 million dollars and would include funds designated for a brand new Washington building and demolition of parts, or all, of the current CCMS facility. We estimate the total cost of this plan to CCSD taxpayers would be just over 10.5 million dollars if a BEST grant could be secured to help fund it. The end result of this effort would be the creation of a large elementary school community on the CCMS campus, the establishment of a large middle school community in the Harrison facility, more efficient utilization of the McKinley campus, accomplishing the basic health and safety upgrades needed for all other buildings, while significantly reducing the square footage the district must maintain and operate on a yearly basis by eliminating 2 of its oldest and most expensive to maintain facilities. Our board of education plans to consider these options at its work session on Monday, September 26th, and to whittle them down to two finalists for consideration. The board will then hold a public hearing on those final options on Monday, October 10th, with the idea of deciding on a final course of action at its October 26th meeting. This would allow the district's administration team the time needed to submit a competitive BEST grant with highly accurate cost projections by the end of February, 2017. We will find out if our grant has been awarded by June 1st, 2017 and if so, the board would then need to place a bond question on the November 2017 ballot to provide matching funds needed to execute the grant. If the match is approved by the community, construction would take place from January 2018 through July 2019, with all schools operating as they currently are until the first day of school in August of 2019.